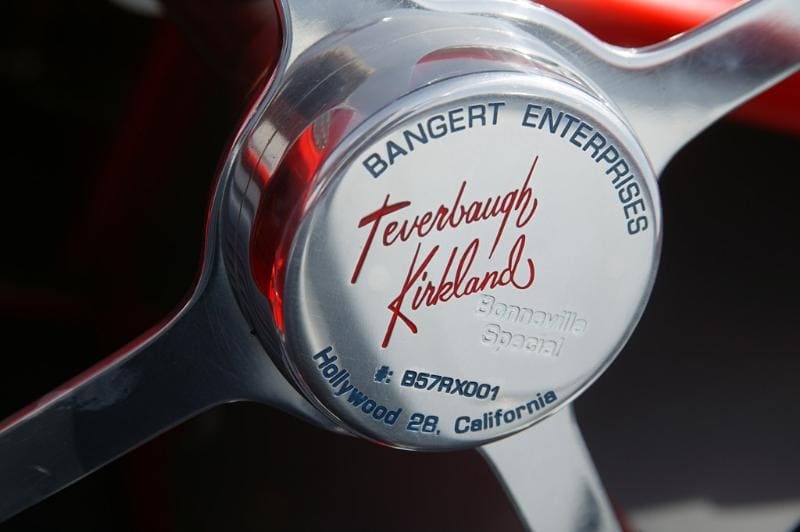 1957 Teverbaugh & Kirkland Bonneville Special ! 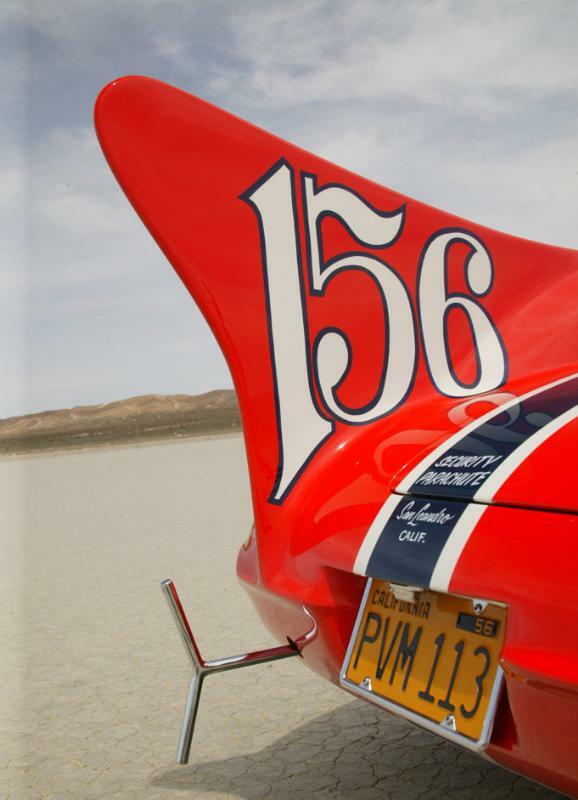 This unique sportscar was manufactured by John Teverbaugh and Robert Kirkland to go as fast as possible on the Bonneville Salt Flats. At the time, the outright record was 393.82 mph, but they had no intention of breaking that. 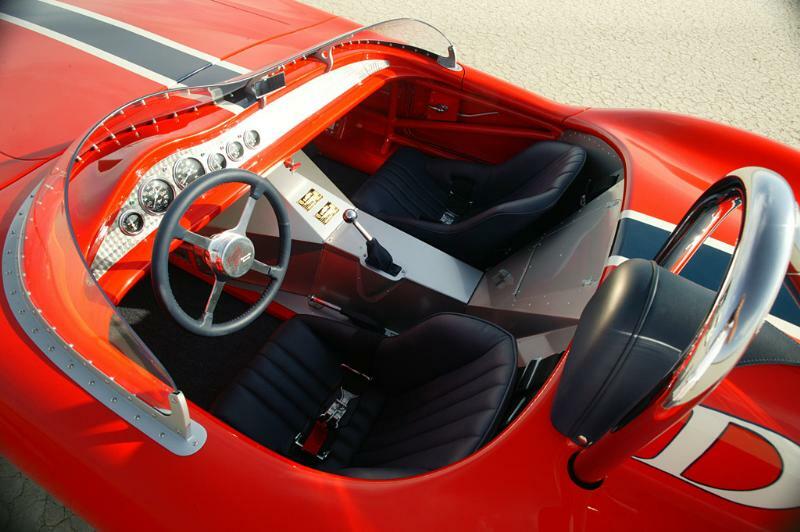 Instead, this special was made to run in the D Modified class which John previously dominated with his 1955 record run of 156 mph in a Bangert roadster. 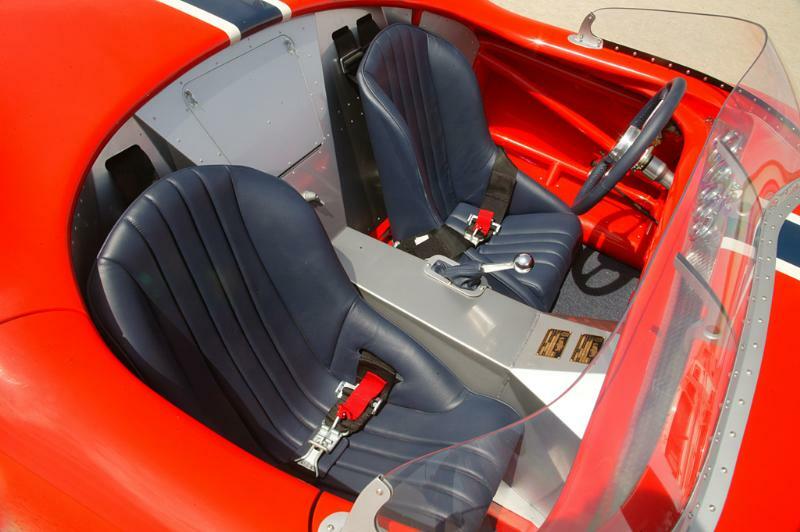 Using the same techniques applied to his boating company, John added fender skirts, a cockpit cover, full under tray and a headrest with a signature dorsal fin. To trump this achievement, John purchased a second body from Bangert Enterprises and modified its fiberglass shape to be more aerodynamically suitable. 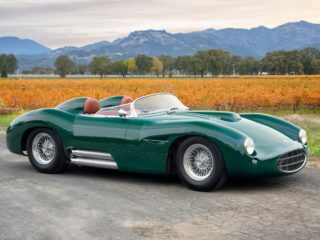 The result was a car which combined some of the best Corvette, Maserati and Jaguar design traits. Power was delivered to the rear wheels through a quick-change rear end and braking was provided by disc brakes off an army surplus aircraft. 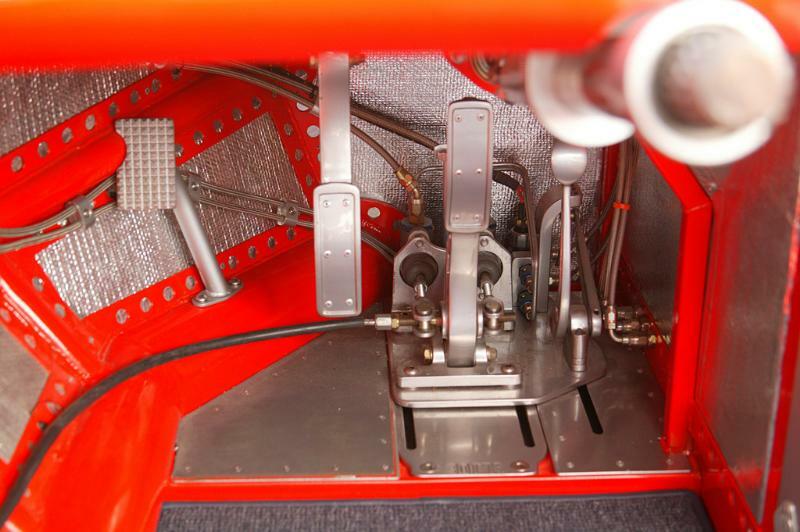 Chassis details were handled by Rob who used chome-moly tubing for rigidity and a 368 Mercury engine. 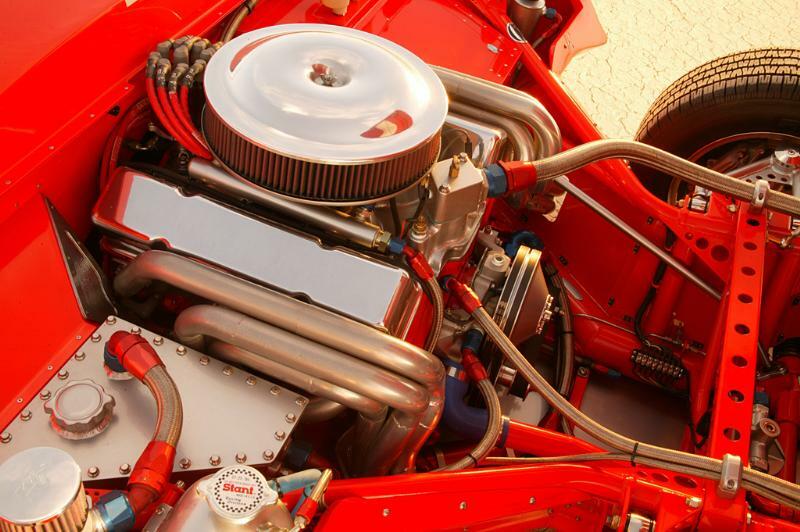 Although rare to tune, Rob had these engines in stock, so he attached a 6-71 GMC blower, Hilborn mechanical injection and a custom fabricated manifold and headers. 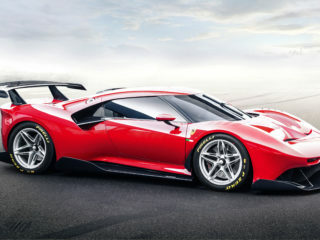 The initial idea was to deploy the chute and straighten the car out if it might stray from the track. Another unique detail was the addition of an emergency parachute, the first ever used at Bonneville. 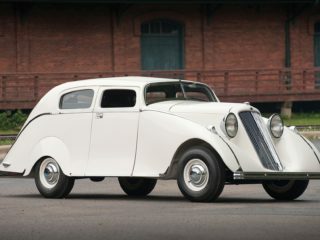 It won an award at the Grand National Roadster Show before going to Bonneville for its intended trail. 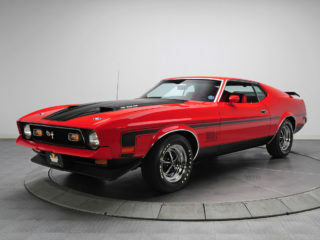 In its initial configuration, this special looked promising and most magazines reported that it seemed like a 200 mph machine. This limited a theoretical top speed of 175 mph and the best attempts in 1957 and 1958 offered 163.93 mph when the engine blew half a mile from finish and it coasted through the speed traps. Unfortunately, 200 mph never happened, as the Mercury engines kept blowing up past 5500 rpm. Before money and engines ran out, John Teverbaugh sold the car. During the build, he got permission from Teverbaugh to ‘modernize’ the car and fit a Chevrolet engine, no doubt as a protest to the Lincoln-Mercury unit that let the car down fifty years earlier. After trading hands several times and deteriorating throughout the years, even being sold as a Devlin SS, the car made its way to Des Moines and underwent 13 year restoration thanks to Steve Prewitt. By 2005, the restoration was complete. During his first drive, he noticed inprovements such as the Carrera 3 position coilovers and rack and pinion steering that made the car much more responsive. In the end the car was reunited with Teverbaugh after being 46 years away from it. Other new details included a more triangulated chassis, a collapsible steering wheel, Super T-10 4-speed transmission, large aluminum radiator, roll bar, fuel cell and Coleman drilled brake rotors.